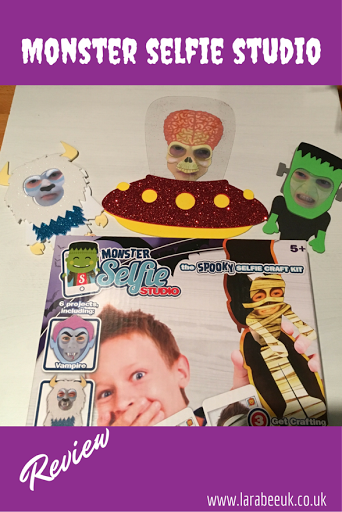 Monster selfie studio is a great kit which comes complete with all the craft supplies you need to make 6 monster selfie crafts, priced at £9.99, there's also a free app which you can download which can either be used with the kit or on its own. 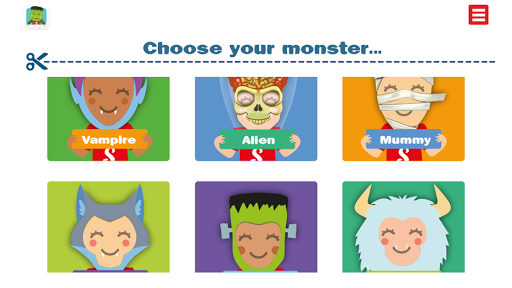 We used it with the kit, but you can just as easily, email out your monster selfies or even upload to social media. 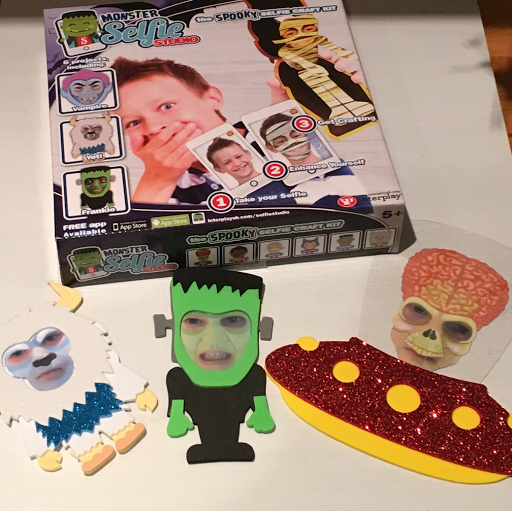 T chose the frankinstein first and enjoyed pulling faces to make his monster selfie even more terrifying! 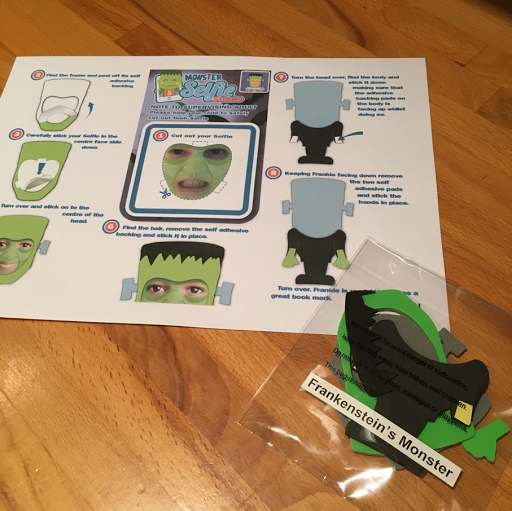 Once you've chosen your monster and have taken your selfie, you are given the opportunity to print, the photo comes off with all the instructions you need to bring your monster to life with the craft kit. 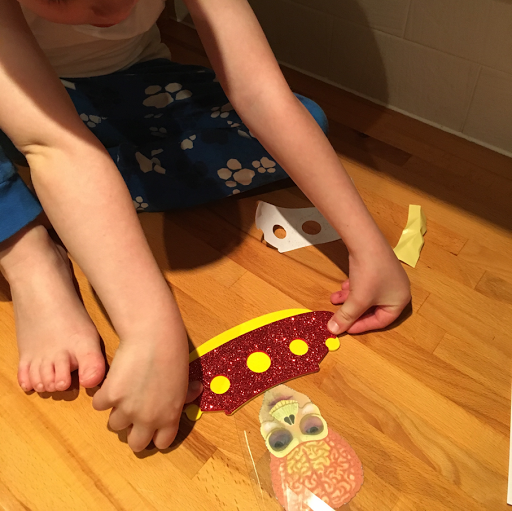 Each monsters craft supplies are clearly identified. 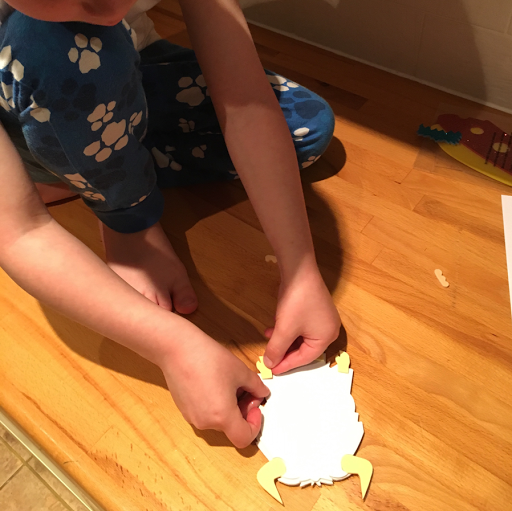 Once the selfies were cut out, T had great fun in building the characters. 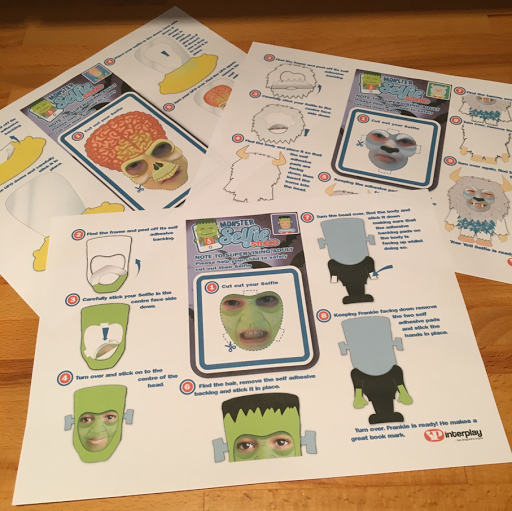 The selfie kits are designed for children 5 and over. At almost 5 T had no trouble with this with my help. Although it would be a few years before he could do it all by himself. 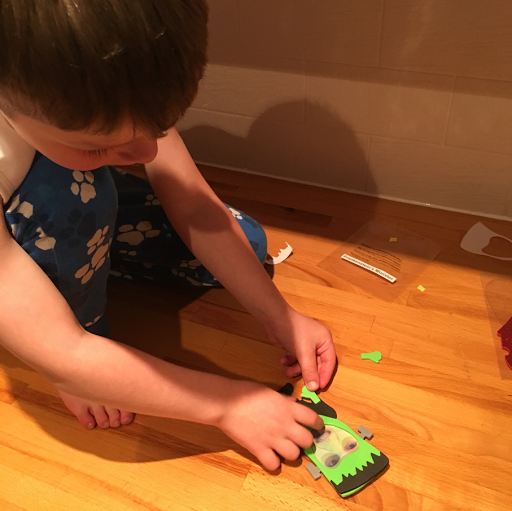 This was a perfect run up to Halloween toy, although I could just as easily see T enjoying it all year round and he cannot wait to make our remaining 3 characters. Disclaimer: we were sent this product in return for our honest review, all opinions are our own.